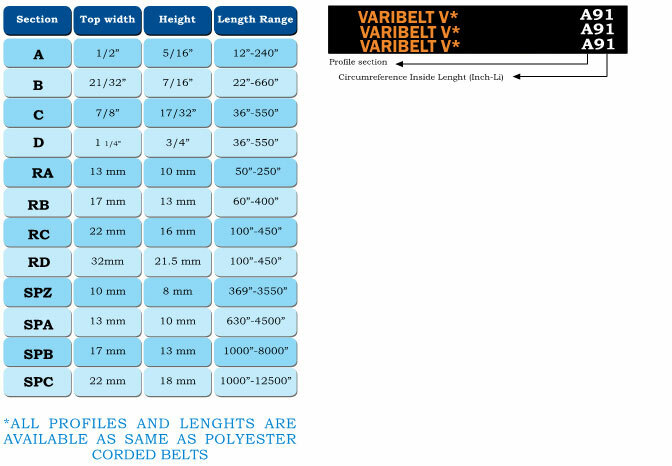 Fractional and Conventional V-Belts As well as Standard black rubber V-drive belts, Lawn mowers & other agricultural machinery often have drives using multiple pulleys and idlers, which operate by a clutching action. This application is very specific and demands special attention to the design and manufacturing of any belts used in the drive. D&D provides a customized solution for such drives, providing belts which feature a special one sided rubberized DRY fabric that offers better clutching action. 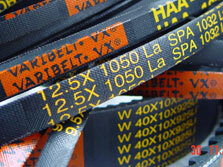 These belts are regularly manufactured in blue colour, however they can also be manufactured in black & white.